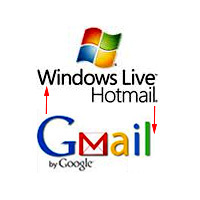 For long time Hotmail or Windows Live Mail users who want to start using Gmail why not try forwarding your hotmail to Gmail . Rather than try to change your email address with every site you've ever registered, why not just forward that Hotmail or WLM email. This trick uses POP features added to Microsoft's email hosting to deliver all your email from their accounts to a Gmail address. 1. If you don't have a free Gmail account, register for a new one. Log into Gmail and click Setting. 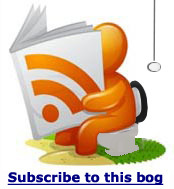 Click the "Forwarding and POP/IMAP" link. Click "Enable IMAP" to switch the email hosting service over from POP. Click "Save Changes". 2. Click the "Settings" link in the top right-hand corner of your inbox. 3. Under the Accounts and Import tab, click the Import mail and contacts button. Click the "Settings" link in the top right-hand corner of your inbox.and Under the Accounts and Import tab, click the "Import mail and contacts button". Type in your old email address and click "Continue". The next screen will ask for your username and password at your old email hosting site. Enter the full email address and password, then click "Continue". 4. If you choose to import contacts, the information in your contacts list from your old account will be imported to your Contacts section in Gmail. If you select the Import mail checkbox, your existing messages in that account will be imported to your Gmail inbox. If you like, you can also select the Import new mail for next 30 days checkbox so that messages sent to your old account within the next 30 days will be automatically imported to your Gmail account. These messages won't appear in Gmail immediately once they're sent to your other account, but this should update within a day or two. Please note that this doesn´t establish a permanent connection between the accounts, but terminates after 30 days. For tips on how to connect two accounts permanently, you should use Mail Fetcher. Don't forget to click Start import after you´ve made your selection. Your contacts and/or messages will now be imported. It may take 24 - 48 hours before you see your imported messages, so don't worry if they´re not there as soon as you click OK.
5. If you selected the option to have messages imported for 30 days after the initial import, you will see a message saying: "Initial import done. New messages will be forwarded as they arrive." once the import is complete. When your import is complete, Google will display a confirmation message at the top of your inbox. The "Your mail has been added" screen comes up. It'll ask you if you want to be able to send email as your hotmail address. If you select yes, you can send from Gmail's email hosting service but your hotmail address will still show up in people's inbox. If you select "No", all email sent from Google's email hosting will have your Gmail address.